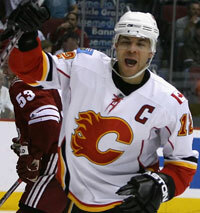 GLENDALE, Ariz. (AP) - Jarome Iginla was impressed with the way his Calgary Flames played. Kristian Huselius added three assists in his second three-point game of the season, and Rhett Warrener scored for Calgary, which stopped a two-game skid after a four-game winning streak. 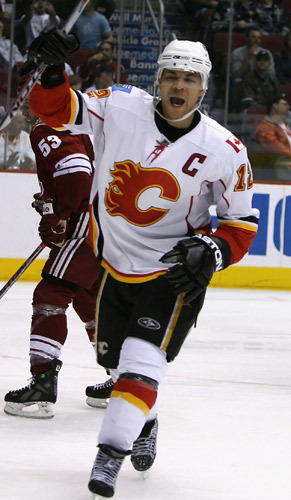 The Flames limited the Coyotes to 17 shots as Curtis Joseph needed to make just 16 saves.